Sesame seeds are quite common as toppings on burger buns, sandwich buns, bagels and other culinary dishes. They are also the main ingredient in a Middle Eastern dish known as tahini. However, oil can also be derived from sesame seeds. 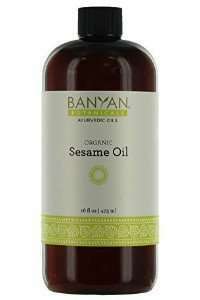 Pure sesame seed oil is most often used as an enhancer in Asian & Middle Eastern cooking. Pure sesame seed oil is a semi-drying oil rich in oleic and linoleic acids. 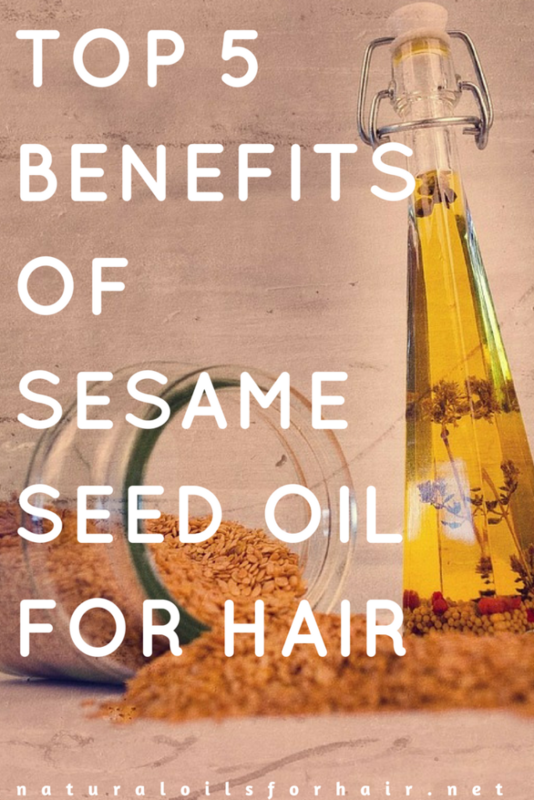 In this article, we’ll be covering the benefits of sesame seed oil for hair, sesame seed oil recipes for hair, how to use sesame seed oil on hair, sesame seed oil for hair growth, sesame seed oil side effects and the best sesame seed oil for hair. Sesame seed oil is derived by pressing the sesame seeds. The extraction process differs from country to country and the process depends on materials available. The color of sesame seed oil ranges from deep yellow to light-colored translucent. The color usually depends on the level of processing involved and whether raw or roasted seeds are used. Sesame seed oil is contains vitamins E, magnesium, copper, calcium, magnesium, iron, zinc and vitamin B6. It also contains a significant amount of vitamin K.
Like mustard seed oil, sesame seed oil helps with greying hair and is possibly the most outstanding benefit of the oil. Sesame seed oil forms a protective barrier around the hair against the sun’s UV rays. Sesame seed oil’s antibacterial and anti-inflammatory qualities can help with scalp issues such as dry scalp, dandruff, and head lice. 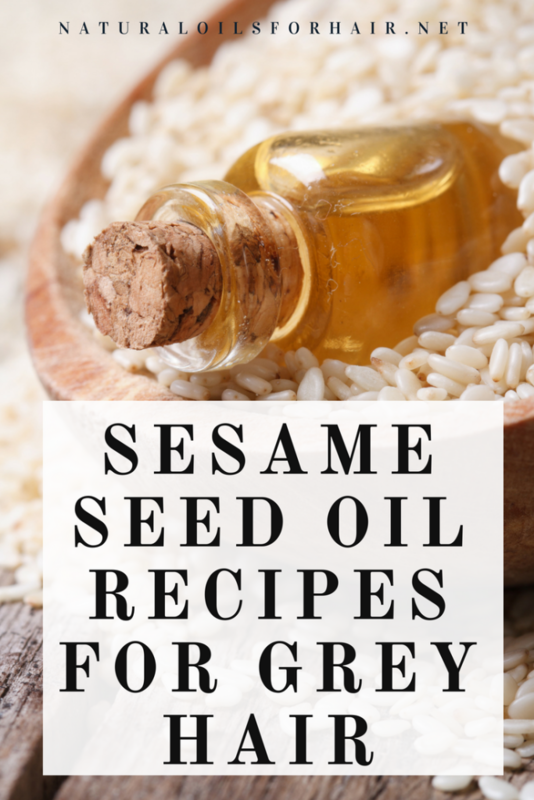 Sesame seed oil contains sesamol and sesamin, which ensures a longer shelf life for the oil and helps extend the shelf life of other oils when mixed in together. Sesame seed oil helps increase blood circulation to the scalp area and nourish the follicles. Read 8 Steps to Effectively Massage Scalp with Natural Oil. Sesame seed oil is also used extensively in alternative medicine in India for massages, improving circulation and healing other ailments. Mix the sesame oil and mustard seed oil in a bowl. Apply to hair and scalp. Make sure all your strands are coated especially grey hair. Cover with a disposable cap and leave on overnight. Wash out the next morning with a mild shampoo and deep condition as usual. You can also use the oils separately over a few weeks to judge which one works best for your hair type. Shampoo your hair and condition then apply your deep conditioner. Heat the sesame seed oil slightly and apply over the deep conditioning treatment. Sit under a hair steamer for 30 – 45 minutes. Rinse with lukewarm water and proceed with the rest of your regimen. You can combine also add mustard seed oil into this treatment by using 1.5 tablespoons of each. If you find the smell of sesame seed oil too strong, you can add 5 – 10 drops of chamomile essential oil or lavender essential oil. Both provide calming and soothing effects as well. While there are other more premium oils, there’s no harm in giving sesame oil a try especially to treat and prevent grey hair. It just might work for you and become a staple part of your regimen. Can You Apply Sesame Oil to Your Hair Daily? Yes, you can apply sesame seed oil to your hair daily if you don’t mind the smell. You can use it on its own or as an ingredient in your daily hair oil but combine it with the right oils depending on what you’re trying to achieve. If you need help putting together a hair oil regimen for specific hair issues, have a look at How to Grow Hair Healthy and Long with Natural Oils. Sesame seed oil contains a significant amount of vitamin K. Vitamin K is very important for bone health. Low levels of vitamin K in the body manifests as osteoporosis and increased risk of arthritis. It can also lead to weak hair at the minimum and hair loss if not addressed. Cooking with sesame seed oil will help get this important vitamin into your diet. Read Cooking with Oil: Get this Important Vitamin for Hair Growth with Sesame Seed Oil. If you are treating hair loss, I recommend taking before pictures and pictures every 6 – 8 weeks so you can track your treatment progressions effectively. 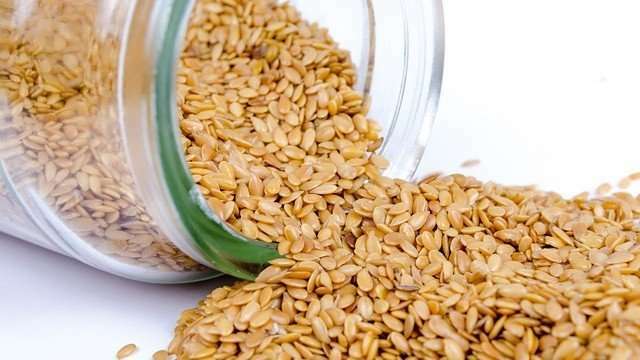 Are Sesame Seeds Good for Hair Growth? 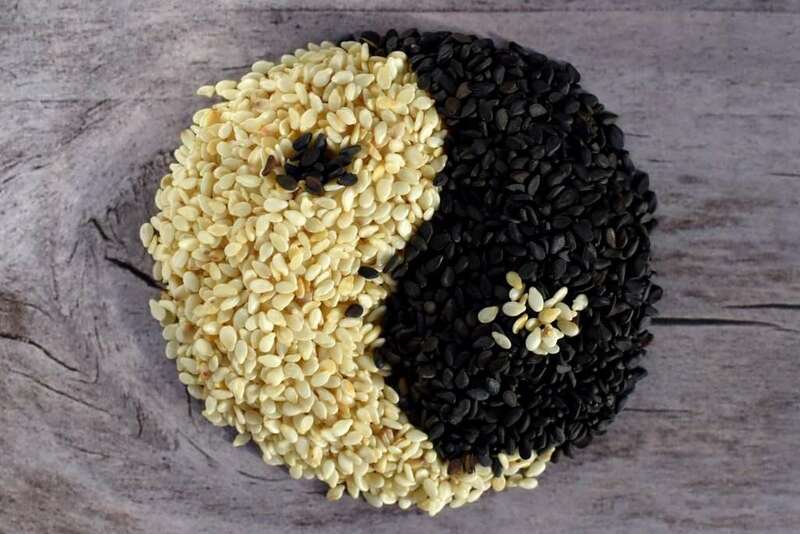 Eating raw sesame seeds is a great way to get the benefits of the nutrients as well. I love using sesame seeds as a topping on salads, salmon, sautéed spinach, and hummus. You can buy toasted sesame seeds or buy regular seeds and toast them yourself on the stove top or in the oven. 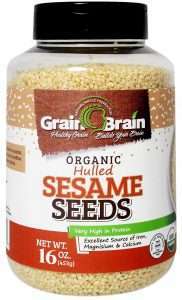 I like these sesame seed brands – McCormick Gourmet Organic Toasted Sesame Seeds and Grain Brain Organic Sesame Seeds. If you are allergic to seeds and/or nuts, it is not a good idea to use sesame seed oil on your hair or for cooking. There are more suitable naturals oils for people with a seed and/or nut allergy. Check the natural oils archives for alternatives.